Kerameikos, Photograph by John Vellis. The ancient district of Kerameikos was located in the northwestern outskirts of Athens as it then was. It was partly enclosed by, and partly beyond, the walls that divide the area of the excavation. In the center of the archaeological site are the two best known arches of ancient Athens, the Dipylon, where the Panathenaic procession would start, and the Sacred Arch, where the sacred way would begin and the Eleusinian Mysteries procession would pass through. According to the geographer Pausanias, the location was named after Keramos. However, the place was most likely named after the neighborhood of the kerameis (potters). (The definition of Kerameikos is of something related to ceramics or potters). The neighborhood of the potters, the tile kiln makers, was established on the banks of the river Eridanos. One can see the riverbed in the archaeological area. The ancient Demos of Kerameikos covered a large area. Only part of it has been unearthed in excavations. 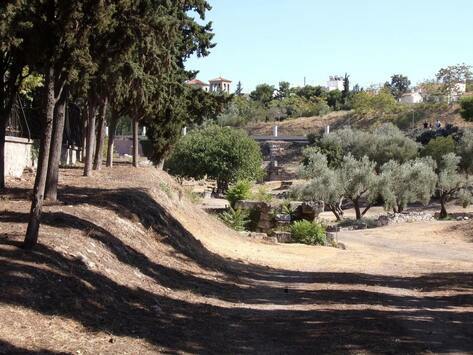 It is thought that the area of the Kerameikos was bounded on one side by the northwestern perimeter of the Agora. Recently, archaeologists discovered within the Kerameikos excavation site, and located in the Temple of Artemis Sotera, an oracle well, which is at least 1,800-years-old and may be the oldest ancient oracle to Apollo found in Athens. The area around the sanctuary is still watered by the Eridanos River, which flows through the city from east to west. The oracle well was used for hydromancy, a method of divination by means of water. ​​​The oracle well was walled with clay cylinders. The researchers discovered a number of inscriptions in Greek. All of them included the same phrase: "Come to me, O Paean, and bring with you the true oracle". The word ''Paean" is the epithet designated to Apollo, the male deity associated with art, purification and oracular activity. Researchers discovered that an omphalos, made from stone, had been meticulously mounted on a marble slab that, in turn, covered an opening. It was lifted using a crane and the circular well was found below. An omphalos is a powerful symbolic artifact, considered to be the ‘navel of the world’, the central point from which terrestrial life originated and an object of religious symbolism believed to allow direct communication with the gods. 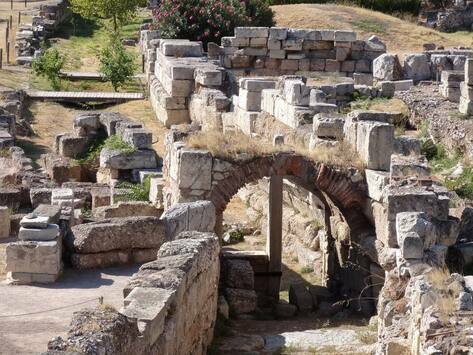 Archaeologists also researched a 2,500-year-old bathhouse in use between the 5th and the 3rd c. BC. The bathhouse served the citizens of Athens and the travelers alike. It was often used by the students of Plato's Academy, as well as the craftsmen. 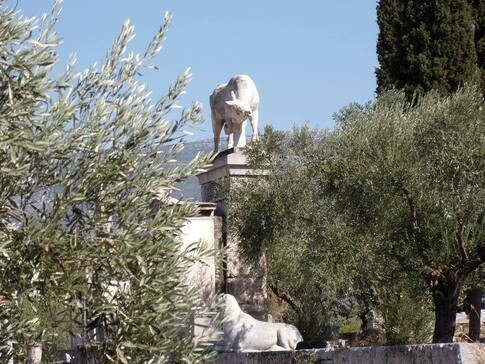 Researchers believe that it is the spa mentioned by the Greek orator Isaios, and referred to by Aristophanes. Rated as Best Value by guests, and praised for its superb service, Kubic is a smart hotel, centrally located in Athens. Housed in an old industrial building featuring a steel and glass facade, combines cutting-edge technology and modern comforts. The hotel offers stylish rooms with free high-speed WiFi and tablets. 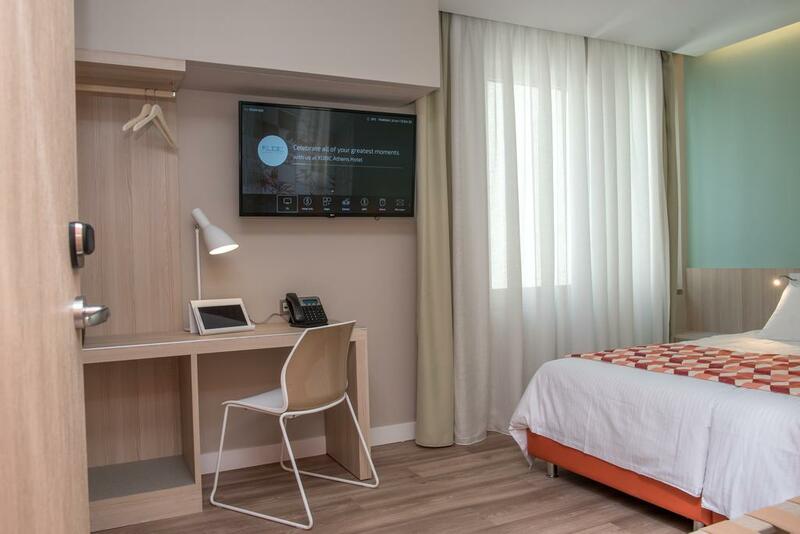 Fitted with floor-to-ceiling sound-proofed windows, and decorated in light green and grey tones, all rooms at Kubic Athens are equipped with a 43'' LG Smart TV, USB ports, and VoIP phone. The in-room tablet enables guests to control in-room temperature and lighting. The modern bathrooms come with free branded toiletries and a hairdryer. Omonia Square is 500 meters from the hotel, while Metaxourgio Metro Station is within a 4-minute walk. Interior, Kubic smart hotel, Athens. 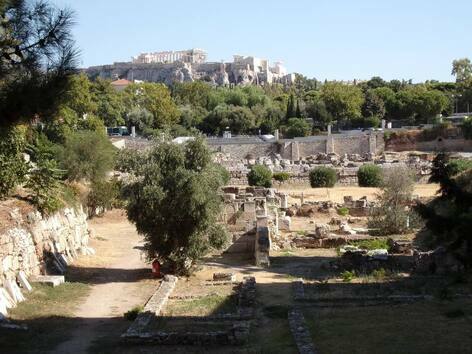 This delightful half-day tour focuses on the archaeological exhibits of three modern Athens Metro stations, in combination with a visit to the open-air archaeological sites of Kerameikos and Agora. 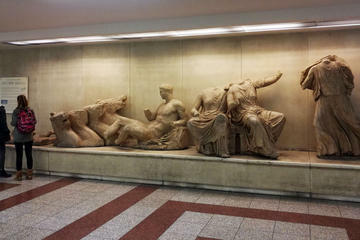 Few visitors are aware that treasures in Athens also lie underground; some of these on display at a number of Metro stations, as the works to create the subway network were combined with painstaking archaeological excavations, thus affording the stations the dual function of being modern constructions full of movement and technology whilst also serving as museum and stratigraphic sections of their localities. The program, led by a licensed archaeologist-guide, lasts approximately 4-1/2 hours and is offered round the year.